Last Sunday I finally caught the China bug. This was karma; I'd been talking for four weeks how I was waiting for it to happen, and then it happened. It started as a head cold, and over the course of the week it moved southward through my organs, like a viral Sherman's March to the Atlantic of my lower bowels. Being sick is boring. Mostly I sat in my bed, surfing the web and trying to avoid any activity that involved sustained concentration. I stopped feeling hungry and couldn't taste any food. Sometimes I'd watch depressing movies. I got cranky. At the supermarket, the cashier tried to explain to me (I think) that there was no bulk discount for the 3-pack of Kleenex that I was buying, and that it might be cheaper to switch to something else. Just let me buy my goddamn kleenex was what I was thinking. I just pretended like I didn't understand what she was saying. 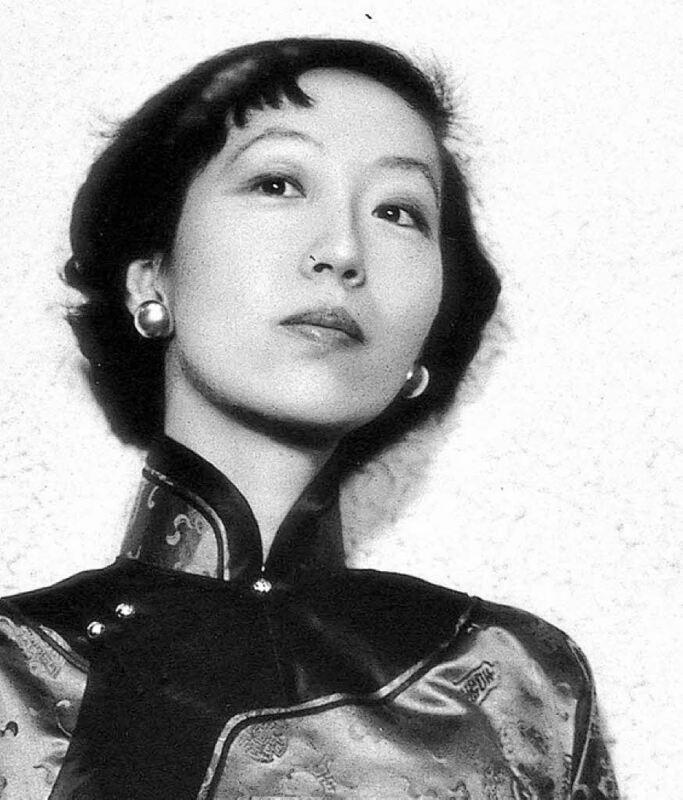 I finished reading Written on Water, a book of essays by Eileen Chang, who is today most famous as the author of "Lust, Caution". Chang, like Borges, is regarded as one of those writers who was good enough for a Nobel Prize but somehow missed out due to political intrigue and circumstance. I never read any of her plays or novels, but her essays are very good--there are sparkles of genius on every page, even when her subject matter is ostensibly trivia. Most of her writing is about bourgeois consumer lifestyle, all clothes and opera and middle-brow contemporary novels. I find it funny that the 1940s Shanghai that she evokes in her writing comes off as so much more sophisticated and intricate than the Shanghai I wake up to every day. This amassing of countless little points of interest, this continual digression, reckless and unreasonable, this dissipation of energy on irrelevant matter, marked the perennial attitude toward life of the leisure class in China. Only the most leisured people in the most leisurely country in the world could appreciate the wonder of these details. It certainly took tremendous amounts of time and artistry to create fine distinctions between a hundred lineal designs that were similar but not the same and just as much effort to appreciate the differences among them. Today, Western-style men's suits are cautious and colorless, adhering as closely and as conservatively as possible to the established image of a foreign gentleman. This is notwithstanding the fact that even Chinese-style garments have been trapped for many years within a limited palette of gray, coffee brown, and dark blue and restricted as well by extremely monotonous fabrics and patterns. Men enjoy far more freedom than women, but purely on account of this single and all too conspicuous unfreedom, I would not want to be a man. Ninety percent of what passes for wit in China consists in the skillful use of set phrases. Little wonder, then that Chinese students of western languages invariably rely on handbooks full of idiomatic phrases, which they believe need only be linked in grammatical sequence in order to produce good essays. The self-sacrificing love of a mother is indeed a virtue, but a virtue only within a moral code that has been passed down to us by our animal forebears. Since even domestic animals seem to share this virtue, there's no particular reason to be proud of ourselves on this account. Instinctual love of this sort is merely an animal virtue, not one of those qualities that separates us from the beasts. What does distinguish mankind from the beasts are our higher degree of consciousness and higher powers of comprehension. While this approach to the question may appear excessively logical, overly dispassionate, or lacking in humanity, real humanity lies in a refusal to accept merely animal virtues as an ethical standard for human beings. Every time I go clothes shopping with Justine, I do not want to be a man either. There's just so much more design variation in women's clothing. On second thought, there is probably just as much variation in men's clothing. It is just a more subtle variation. The amplitude of the variation is greater in women's clothing, which is appealing to me. Every time Jason goes shopping with me, I do not want him to be a man either in order that I may take my time perusing the amplitudes instead of feeling the pressure to survey these amplitudes in a shorter period. Also, when he is a man shopping with me, the amplitudes that I place in my shopping cart return to the rack with greater frequency.